Tales from a Panamá-mama: Writer's Workshop: Rules I've "Unlearned"
4.) List 10 rules you’ve unlearned (meaning 10 things you thought were expected of you or were the “right way” of doing things, but that you now ignore). 1- Always tie your shoes. Yeah right. I never have shoes that tie or else I'm barefoot. My kindergarten teacher almost didn't pass me because I wouldn't tie my shoes until I had to. 2- You must have at least a master's degree. I really struggled with this one. I finished my bachelor's by the time I was 21, but then fell in love and got married. Now realize I shouldn't waste the money if I'm not actually going to "work"! 3- Career first. I didn't really struggle with this one. When the Foreign Service lost all the scores from the group I took my tests in I saw it as a sign. That was the only job I'd ever wanted. I never was able to find a "perfect" job to make a career before I had my first kiddo, and now they are my career. 4- Iron your clothes. Ha! 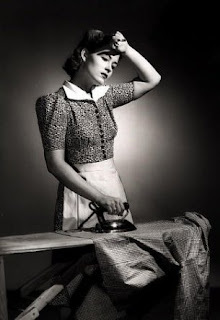 My hubby won't let me iron his clothes if that tells you anything about my superior homemaking skills. 5- Let a baby cry. Sorry, I honestly did try this with our first (and I cried harder than she did.) Just can't do it. Plus, my kids are as stubborn as I am and wouldn't stop crying for hours. Really. 7- Always be strong, don't rely on someone else. This was an entirely self-inflicted rule. I realized a few years into our marriage that I could rely on my guy. I didn't always have to be in charge or looking out for me to happy. We could look out for each other too. 8- If you can't do something right, don't do it. Who'd ever get anything done? 9- Always finish what you start. 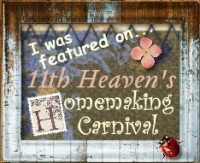 Click on over to MamaKat's to join in on the fun! You are hilarous, I enjoyed reading and agree, and I don't like ..hate to iron!!! BTW, I grew up in Costa Rica. Poppy- I know! Think that was the hardest part. Breastfeeding moms can't stand to hear ANY baby cry, let alone their own! I still get twinges myself and my breast have been useless for 3 yrs now. great list. i need to unlearn several of them. Especially the last two. You are ha-larious! I don't like to iron at all! I love un-learning. Sometimes it just makes life so much more fun, like in the instance of barefeet. How can they not be fun? I think you are brilliant! And I love the last photo.